If you decide to keep a blog you are not alone. According to Wikipedia, as of February 2011, there were over 156 million public blogs in existence. About one-third of them are WordPress blogs. A lot of my fellow Peace Corps Volunteers here in Botswana have blogs of their own, if you would like to take a look at some of them, click HERE to see a page listing them all. Why publish a Blog while serving in the Peace Corps? To Accomplish Goal 3: The Peace Corps mission has three goals. The third goal is, “Helping promote a better understanding of other peoples on the part of Americans.” Blogging is one way to achieve this goal. For Family and Friends: Another reason to blog is to keep interested family and friends up to date on your activities. Our own family and friends seem to enjoy reading our blog posts. As a Personal Journal: Your blog can serve as your personal journal that you may want to refer to after you are through with your service. To Publish: Some people I know have even turned their blog into a book. Our friend Kip Doran did this and published his book recently: Africa Lite: Boomers in Botswana. You must choose your blogging platform. There are many blogging platforms to use. WordPress is the most popular, but Blogger is also popular; and there are others. The hosted versions of both WordPress and Blogger can be registered for free and are very easy to use. Personally, I think WordPress is best. I use a self-hosted installation of WordPress for this blog. I have also used a hosted WordPress blog for several web pages I have created during my Peace Corps service. Since I use WordPress, that is what I can tell you about, but Blogger works much the same way. Hosted: If you go to the WordPress.Com web site, you can set up a blog that is hosted on the WordPress servers. Let’s say you want your blog to be named “PeaceCorpsBlog“. If you choose to let WordPress host it, your web address would be: www.PeaceCorpsBlog.wordpress.com. This option is absolutely free, and you can be up and running in literally minutes. Get a Web Hosting Account: If you are self-hosting you will need to set up an account with a company which will host your blog. There is a monthly charge for hosting your web site. There are thousands of web hosting companies. I use Godaddy. Three others to look at are the ones WordPress.comrecommends: Bluehost, DreamHost, and Laughing Squid, and there are many more. Most web hosting companies will provide an easy way install the WordPress software onto your site. 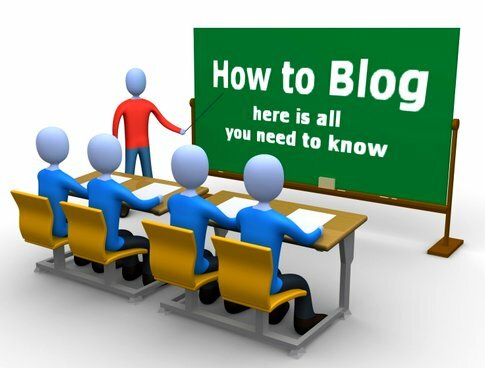 Once WordPress is installed you can begin creating your Blog. Buy the domain name: If you are self-hosting, you will also need your own domain name. There is a small fee to have a domain name of your own. I arranged for my domain name along with the hosting service when I set it all up with GoDaddy.com. If the domain name is not already being used by someone else, you can buy it. The price for the domain name varies widely but probably can be had for between $0 – $15 per year. You can also choose whether you want it to end in .com, .info, .net, .org, etc. What to write about? Everything… and often. If you want to keep your readers happy you have to give them new things to read. That should not be a problem, especially at first. As a brand new Peace Corps Volunteer, everything in your village is new and interesting, and your readers will love seeing your pictures and reading your reactions. Speaking of pictures, sprinkle them liberally throughout your posts. People seem to prefer posts that have them. If you run out of things to say, put a post out there with nothing in it but pictures — nothing wrong with that. A picture is worth 1,000 words, they say. In our first year in the Peace Corps we tried to put out a new post every week. Eventually, we began to run out of things to blog about, so during the second year I decided to slow it down to every two weeks. Advertisements: The Peace Corps does not allow you to use your Blog as a commercial enterprise, therefore no advertisements are allowed, you can’t sell stuff, and you can’t ask for donations. Content: Every Peace Corps country organization has different rules. I know a Volunteer in Ukraine that was told she had to let the Country Director (CD) read and approve all Posts before they were published. Here in Botswana, our Country Director let’s us do our own thing, and PC staff view our posts from time to time. The only change I was ever asked to make involved a map I had on our blog which showed exactly where we lived. Our CD asked me to remove it as he felt it was a safety and security concern. Don’t Get Yourself in Trouble: It goes without saying that you would not want to publish information or pictures that would embarrass anyone, or get you or other Volunteers in trouble. Analytics: If you are hosted by WordPress, WordPress gives you access to a lot of information about how many people are reading your blog, where they live, the most popular posts, and much more. If you are self-hosted even more information is available if you use a Google Analytics plugin. I demonstrated the kind of information that is available in a blog post on that subject. Get the Word Out: No one will read your blog if they do not know about it. Tell your family and friends that you will be publishing the blog and give them the web address. When you are saying goodbye to everyone, mention the blog. Put the web address in the signature of your emails. Put the web address in your FaceBook profile. The above is just the bare bones information you need. Whichever way you go (hosted or self-hosted), you could have your blog up and running literally in a matter of minutes. Then it is up to you to personalize it, and add your content. If I were to do it all again I think I would opt for the free blog hosted by WordPress.com. For a Peace Corps blog, I am not sure that the self-hosting option gives you enough extra to justify the hassle and costs of buying a domain name and setting up web hosting — but that is your call. If you need more information it is all available at the WordPress.com web site (for hosted blogs), and at the WordPress.org site (for self-hosted blogs). Also, your web hosting company probably will have a lot of information. WordPress, Hosted vs Self-Hosted, what is the difference? This entry was posted in Peace Corps, Service - Year 2 and tagged Blogging, Mobley, Peace Corps. Bookmark the permalink. ….Thanks for the kind words Claire. Yes we are leaving about 4 weeks early and we appreciate Peace Corps allowing this so we can go be with Tish’s ailing mother. Over 69 and heading for Namibia July 21 with my spouse. I really appreciate your informative, insightful blog! What’s next?